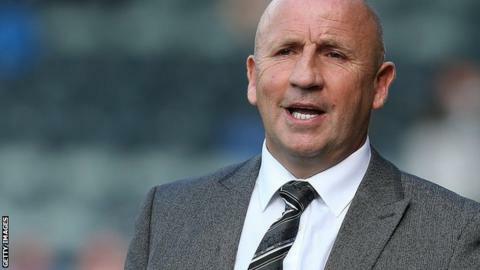 Southport manager John Coleman has left the Conference Premier club after less than five months in charge. The 51-year-old was named as manager of the Sandgrounders in December after the departure of Alan Wright and has guided the club to 18th place in the division. A Southport statement said Coleman had informed them he wanted to return to management in the Football League. The former Accrington and Rochdale manager's assistant, Jimmy Bell, has also left the club. Former Southport striker Coleman took over from Wright with the club in 18th place, having suffered six consecutive defeats, and ensured their survival in the Conference Premier for a fourth successive year. The Sandgrounders won eight, drew eight and lost nine of Coleman's 25 matches in charge. The decision to part ways was taken following a meeting with club chairman Charles Clapham on Tuesday. A club spokesman told BBC Sport that a caretaker manager has not been appointed but the club will look to name a replacement for Coleman as soon as possible.